During the course of the last two years the Canons’ Cloister, which sits along the north wall of Windsor Castle, has undergone extensive refurbishment. 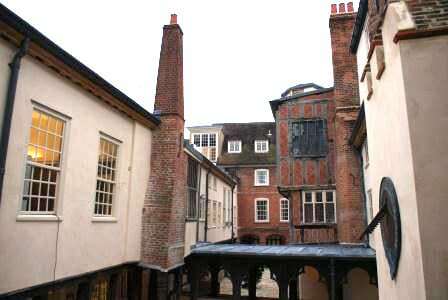 The Cloister was built in the 14thcentury to house Priests of the newly formed College of St George. The College was founded by King Edward III at the same time as the Order of the Garter to be a spiritual counterpart to the Order. The priests of the newly founded College would pray for the Sovereign and Companions of the Order of the Garter daily. Not only does the College survive with prayers being said for The Queen and members of the Order of the Garter everyday but the Canons’ Cloister still houses priests of the College together with other members of the College community. To read more about the refurbishment please read various articles in the new edition of ‘The Companion’ which can be found by clicking here.